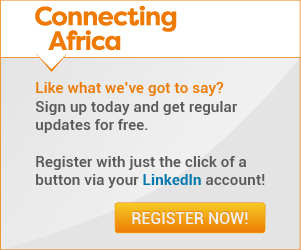 No wonder MTN is considering the make-up of its portfolio that spans 22 countries across Africa and the Middle East. The network operator's financial results for the first half of 2018 outline how challenging it can be to run a business that covers so many emerging, war-torn (Syria) and politically volatile (Iran) markets. The headline numbers look positive. At constant currency rates, MTN's total group revenue of 62.8 billion South African Rand (US$4.7 billion) was up by 9.7% compared with the first half of 2017, though once currency exchange fluctuations were accounted for the numbers dipped by about 3% year-on-year. Earnings before tax, depreciation and amortization (EBITDA) grew by 17% to ZAR22 billion ($1.64 billion) at constant currency rates. In addition, service revenues were up by more than 10% and revenues from data services were up by 26.7% (again, at constant currency conversion rates). Group subscriber numbers reached 223.4 million at 30 June, up from 217.2 million at the end of 2017. 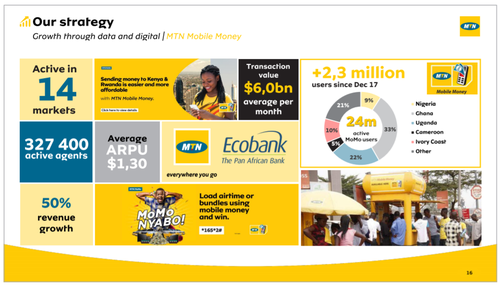 And the number of customers using its mobile money services also increased across the group, by 2.3 million this year to a total of 24 million active users. Yet the company's share price took a hit Wednesday morning, losing 5.7% of its value by lunchtime to trade at ZAR107.65. That's likely due to MTN's growing debt pile and challenges in markets such as Iran, where the recent imposition of sanctions by the US has made it tough for MTN to repatriate funds from its joint venture operation there. CEO Rob Shuter also noted that "macroeconomic conditions remain challenging" in South Africa and Cameroon as well as Iran, though the operator noted some improvement in South Africa as the year progressed. 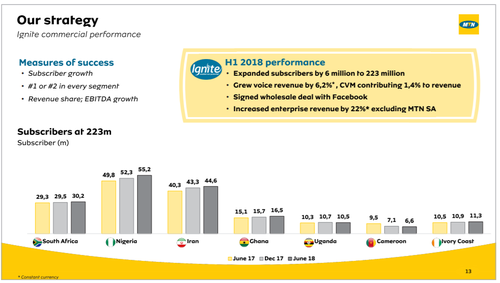 "MTN had an encouraging first half of 2018, with an acceleration in the second quarter, supported by an improved operational performance across many markets. This was led by Nigeria, Ghana and South Africa," noted Shuter in an official statement. "Service revenue growth increased, driven by robust voice revenue growth and the continued expansion of data and digital revenue. This in turn was supported by a 2.8% increase in subscriber numbers, continued network rollout, increasing 3G and 4G population coverage and improving customer service." He added: "We resolved some key regulatory issues in Cameroon and Benin, launched the initial public offering (IPO) of MTN Ghana and made progress on the IPO of MTN Nigeria. As part of our ongoing portfolio review, we agreed to the sale of MTN Cyprus. In the period, we further strengthened our governance of risk, continued to boost our specialist skills base, recorded improvements in employee engagement and extended mobile internet access to more people. Despite continued challenges in repatriating funds from MTN Irancell, the board remains committed to plans to declare a total dividend of 500 cents per share for 2018 and is targeting growth of 10% to 20% over the medium term. We believe everyone deserves the benefits of a modern connected life and see opportunity to provide this. We are confident that MTN remains well placed to deliver on our medium-term guidance." Nigeria is MTN's largest market by subscriber numbers, with nearly 55.2 million, followed by Iran, with 44.6 million, and South Africa, where it has nearly 30.2 million. Average revenue per user (ARPU) numbers are much higher in South Africa, though, making it MTN's largest market by revenues, generating nearly ZAR21.2 billion ($1.58 billion) in the first half of this year, about a third of total group revenues.